Check back frequently to see the lastest Martini Art that Melanie Haislip has created. See original martini art and meet the artist at upcoming shows. Custom Lounge, Bar and Wine Art Painted Just for You! 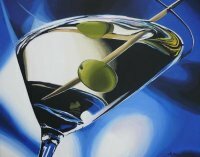 If you are interested in having a unique martini, wine or bar art painting created, contact us today. 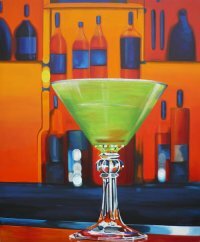 We will offer several original Martini Art examples created just for you to choose from.